I grew up with pop stars on my walls and a Britney Spears song in my heart, so I'll go see any movie that boasts a pop princess as the central character. Anyone who has seen Josie & The Pussycats knows that these movies are automatically perfect, but we don't have to watch the early '00s classic again and again to get our fix. According to The Hollywood Reporter, Rooney Mara will star in Vox Lux, a new movie in which Mara will play a fictional pop star in a span from 1999 to present day. While I'm hyped that the Girl With The Dragon Tattoo heroine will be stepping into what I can only hope will be a pop star's platform heels, what I'm really excited for is who is doing the music. Sia will write original music for Vox Lux, and it might be the best idea anyone has ever had. 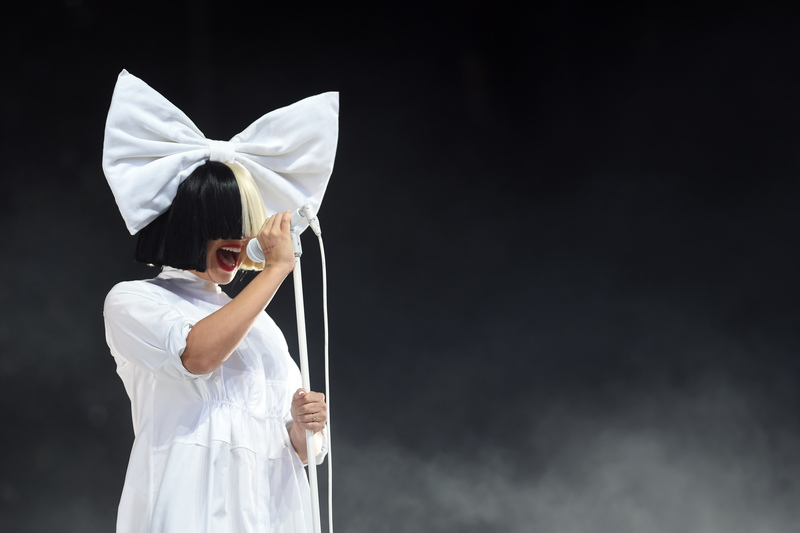 If there's anyone who knows the pop world, it's Sia. She's exactly the right artist to pen songs for Mara's fictional performer, because that's essentially what she already does for today's real artists. Before Sia was performing her own hit songs like "Elastic Heart" and cultivating an (albeit mysterious) image, she was writing tracks for some of the world's biggest pop stars. One of the hardest parts about making a movie about a famous pop star is the fact that their onscreen persona has to feel as authentic as possible. No one will believe a movie in which the fictional pop star puts out "meh" music. The music has to be impressive, catchy, and just as fun as any of the hits we'd sing along to on a Top 40s station. Sia can deliver that; not only is she a successful artist in her own right, but she helped propel plenty of stars to the top of the charts with her skillful songwriting. Original music by Sia is always welcome, and it should take Vox Lux's soundtrack to a whole new level.